By accessing this website we assume you accept these terms and conditions, and the private policy in full. Do not continue to use à-moto’s website if you do not accept all of the terms and conditions and private policy stated on this page. The terms and conditions outline the rules and regulations for the use of à-moto’s Website. The private policy gives an overview of what happens to your personal information when you visit our website. Copyright and License: Unless otherwise stated, à-moto and/or it’s licensors own the intellectual property rights for all material on à-moto. All intellectual property rights are reserved and copyright © Jenna Philippe (à-moto). You may view and/or print pages from http://www.a-moto.com for your own personal use subject to restrictions set in these terms and conditions. You must not: (1) republish material from http://www.a-moto.com; (2) sell, rent or sub-license material from http://www.a-moto.com; (3) reproduce, duplicate or copy material from http://www.a-moto.com; (4) redistribute content from à-moto (unless under a license agreement signed by you and a-moto for specified content in the terms of the agreement). For information, credit for the wordpress theme goes to Nikkon. Hyperlinking to our Content: Search engines may link to our Web site without prior written approval. These organizations may link to our home page, to publications or to other Web site information so long as the link: (a) is not in any way misleading; (b) does not falsely imply sponsorship, endorsement or approval of the linking party and its products or services; and (c) fits within the context of the linking party’s site. We may consider and approve in our sole discretion other link requests from other organizations. If you are interested in linking to our website, you must notify us by sending a request using our Contact form. Please include your name, your organization name, contact information (such as a phone number and/or e-mail address) as well as the URL of your site, a list of any URLs from which you intend to link to our Web site, and a list of the URL(s) on our site to which you would like to link. 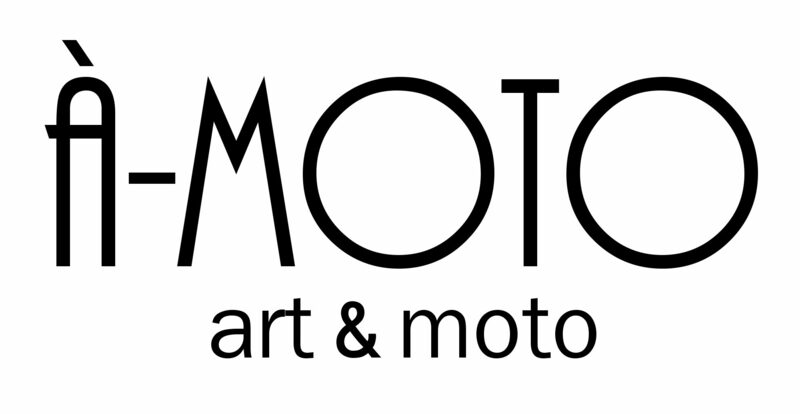 No use of à-moto’s logo or other artwork will be allowed for linking absent a trademark license agreement. Reservation of Rights : We reserve the right at any time and in its sole discretion to request that you remove all links or any particular link to our Web site. You agree to immediately remove all links to our Web site upon such request. We also reserve the right to amend these terms and conditions and its linking private policy at any time. By continuing to link to our Web site, you agree to be bound to and abide by these linking terms and conditions. Removal of links from our website: if you find any link on our Web site or any linked web site objectionable for any reason, you may contact us about this. We will consider requests to remove links but will have no obligation to do so or to respond directly to you. Whilst we endeavour to ensure that the information on this website is correct, we do not warrant its completeness or accuracy; nor do we commit to ensuring that the website remains available or that the material on the website is kept up to date. Content Liability: We shall have no responsibility or liability for any content appearing on your Web site. You agree to indemnify and defend us against all claims arising out of or based upon your Website. No link(s) may appear on any page on your Web site or within any context containing content or materials that may be interpreted as libelous, obscene or criminal, or which infringes, otherwise violates, or advocates the infringement or other violation of, any third party rights. Who is responsible for the data collection on this website? The data processing on this website is carried out by the website operator. You can contact the operator through the Contact form following this link. How do we collect your data? On one hand, from the data that you will provide us through the contact form. In the other hand, technical data will be automatically collected when visiting the website through our IT systems (for example Internet browser, operating system or time of the page request). The collection of this data is automatic as soon as you enter our website. What do we use your data for? Part of the data is collected to ensure an optimal website for readers. Other data can be used to analyze your user behavior and adapt the website to make sure that the content is relevant and understandable. What rights do you have regarding your data? At any time you have the right to obtain free information about the origin, recipient and purpose of your stored personal data. You also have a right to request the correction, blocking or deletion of this data. For this purpose and for further questions about data protection, you can contact us at any time using the Contact form following this link. Data protection: please note that data transmission over the Internet (for example, when communicating via e-mail) may have security vulnerabilities. A complete protection of the data from access by third parties is not possible. Note to the responsible body: the responsible person for the data processing on this website is the owner, that you contact through the Contact form at this link. Responsible entity is the natural or legal person who, alone or in concert with others, decides on the purposes and means of processing personal data (such as names, e-mail addresses, etc.). Revocation of your consent to data processing: many data processing operations are only possible with your express consent. You can revoke an existing consent at any time. An informal message through the Contact form to us is sufficient. The legality of the data processing carried out until the revocation remains unaffected by the revocation. Right of appeal to the competent supervisory authority: in the case of violations of data protection law, the person concerned has the right of appeal to the competent supervisory authority. The competent supervisory authority for data protection issues is the state data protection officer of the federal state in which we are based. Right to data portability: you have the right to have data that we process on the basis of your consent or in fulfillment of a contract, in itself or to a third party in a standard, machine-readable format. If you require the direct transfer of data to another person in charge, this will only be done to the extent technically feasible. Server log files: the provider of the pages automatically collects and stores information in so-called server log files, which your browser automatically transmits to us. These are: (1) Browser type and browser version; (2) used operating system; (3) Referrer URL; (4) Host name of the accessing computer; (5) Time of the server request; (6) IP address. A merge of this data with other data sources will not be done. Contact form: if you send us inquiries via the Contact form, your details from the inquiry form, including the contact details you provided there, will be stored in order to process the request and in case of follow-up questions. We will not share this information without your consent. The processing of the data entered into the contact form is therefore exclusively based on your consent. You can revoke this consent at any time. An informal message to us is sufficient. The legality of the data processing operations carried out until the revocation remains unaffected by the revocation. The information you provide in the contact form will remain with us until you ask us to delete it, revoke your consent to storage or delete the purpose for data storage (for example, after your request has been processed). Mandatory statutory provisions – especially retention periods – remain unaffected. Analysis tools: this website uses functions of the open source software WP Statistics. More information about how this plugin works and which kind of data it uses can be found on the plugin website itself at this link. To the maximum extent permitted by applicable law, we exclude all representations, warranties and conditions relating to our website and the use of this website (including, without limitation, any warranties implied by law in respect of satisfactory quality, fitness for purpose and/or the use of reasonable care and skill). To the extent that the website and the information and services on the website are provided free of charge, we will not be liable for any loss or damage of any nature.